Lately you must have seen many advertisements of toothpastes which are black in color. Well, you must be thinking as why is the toothpaste black in the first place. It is due to the presence of activated charcoal in the toothpaste imparting it its black color. Other than this, the internet is also flooded with videos where people are seen brushing their teeth with some black coarse powder kind of thing. Initially it looks like powdered coal, but it is actually activated charcoal for you. Many people come up with the question that how come a dark and black looking object clean the teeth. 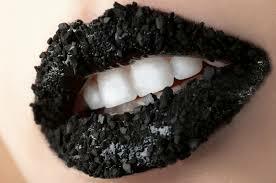 But activated charcoal is a magic item, which has shown excellent results for obtaining great shiny teeth. Not only this, the ingredient also ensures better oral health and hygiene. What is activated charcoal actually? Activated charcoal is nothing but coconut husk or bamboo charred at extremely high temperatures and in the absence of oxygen. The carbon which is obtained from this charring has a highly porous structure. Both charcoal as well as activated charcoal have been used since a very long time for various purposes. They have been proved to be highly effective for absorbing toxins and poisons from the body, minimizing obnoxious odors, treating various kinds of intestinal and abdominal disorders, for filtering and cleaning dirty and polluted water etc. How activated charcoal helps in cleaning teeth? Among the many benefits which are offered by activated charcoal, having clean teeth and good oral health are important. This is because activated charcoal tends to absorb anything and everything in the mouth which tend to hamper oral health. If you suffer from bad breath, it might be due to the bacteria that lurk inside the mouth. Just brushing with a normal toothpaste will not help for long as the bad breath will come back. Activated charcoal gets rid of the bacteria and helps in combating the problem of bad breath successfully. It is also possible to get rid of food stains from the teeth with the help of activated charcoal. In case there are any other kinds of oral problems, they can also be tackled to an extent with the help of activated charcoal. Plaque buildup can be brushed away because of the coarse nature of activated charcoal. Thus, the teeth remain squeaky clean. Various kinds of surveys have been conducted to understand the use of activated charcoal powder for keeping cleaner teeth and for better oral health and hygiene. Activated charcoal tooth powders are available in the market in small packaged bottles. You just need to use the tooth powder normally by dipping the toothbrush in it and brushing teeth. It is needless to say that the teeth appear black with the tooth powder layer. On rinsing the mouth, it was found that the teeth became cleaner and whiter. The overall feeling was great. However, this should be done only twice a week. On the other days, it is recommended to use a fluoride-free toothpaste. This should be done as charcoal has an abrasive feeling and the teeth enamel needs protection. Presently, there are many toothpaste companies which use a small amount of activated charcoal in their products and formulations. The result is having a less dirty and gentle teeth whitening formula with good results. You must not leave your general oral hygiene and health formula and just stick to the use of activated charcoal powder. The conjunction of both the teeth care regimen is the best thing to do.